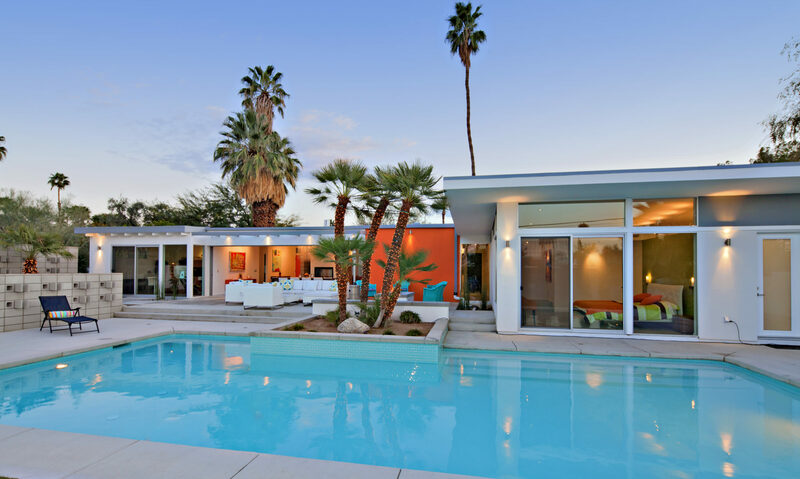 The 40,000-odd visitors to Modernism Week 2014 were made well aware of the Mid-Century Modern homes in Palm Springs, but they may not be aware of the trove available in other parts of the Valley. 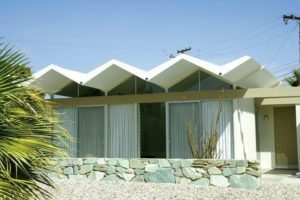 At the same time the modernist architects like William Cody, Albert Frey, Krisel and Donald Wexler, to name a few, designed homes in Palm Springs, they did too in Rancho Mirage, Palm Desert, Indian Wells, La Quinta and Indio. It is very difficult to find exact numbers, but we do have some historical sales data. Based on the Desert Area Multiple Listing Service, there have been about 7,200 residential sales since 1998 in Palm Springs of mid-century (approximately 1949-1969) homes. Not all of these are Mid-Century Modern, but some good portion are. 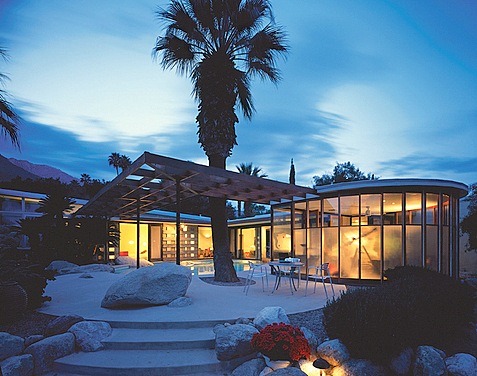 Old Las Palmas has one of the largest population of homes in Palm Springs that are owned by celebrities. Many of the homes date back to the 1920’s, when it was developed by Alvah Hicks, a builder from New York, and his son Harold. It was a citrus grove before being developed into one of the most prestigious areas of Palm Springs. Back in the 50’s and 60’s Old Las Palmas had many well known celebrities as residents, Liberace, Alan Ladd, Rudy Vallee, Edgar Bergen, and George Hamilton to name a few. 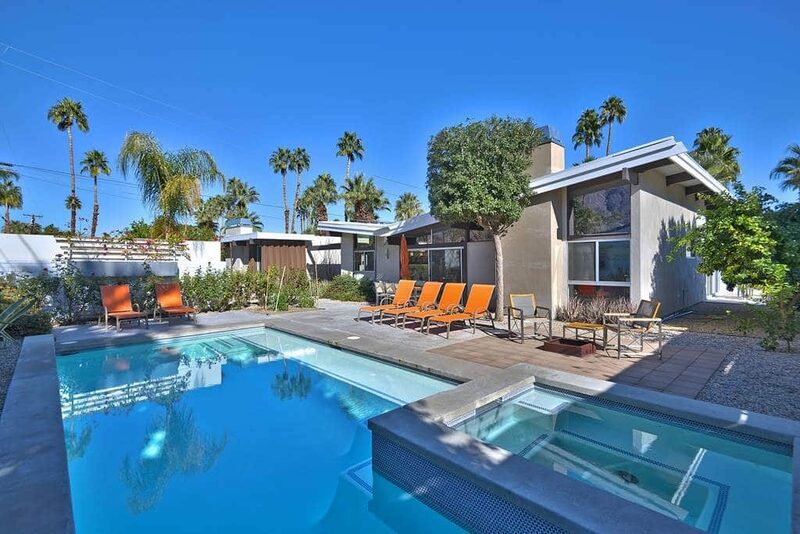 Old Las Palmas is very convenient, and within walking distance to downtown Palm Springs. There are many special advantages to living in Old Las Palmas. Today, Old Las Palmas is recognized as one of the premier locations in Palm Springs with manicured estates and magnificent views of the San Jacinto mountains. 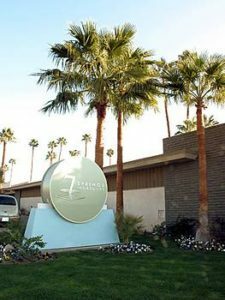 Vista Las Palmas – the Beverly Hills of Palm Springs, used to be the place where many Los Angeles Celebrities and Frank Sinatra, Sammy Davis Jr. and Dean Martin known as the “Rat Pack” would vacation in the 50”s and it became known as the Beverly Hills of Palm Springs. 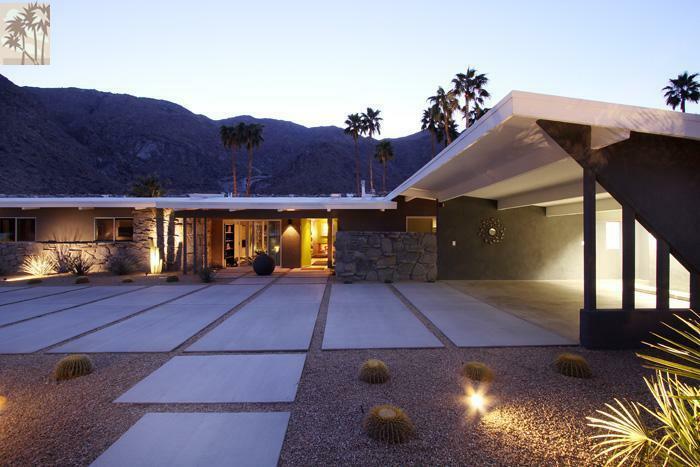 Nestled between the San Jacinto Mountains and downtown Palm Springs, it made it the perfect place to build “Alexander Homes” done by Architect William Krisel. Vista Las Palmas still features many of them in todays so popular mid-century modern era. Alexander architecture is nowadays well known with their roof styles such as butterfly, low-gabled and folded plate, post & beam construction, clerestory windows, center halls and large lots. “Swiss Misses” became also popular with their double A-frame designed by Charles Dubois and still can be found today in Vista Las Palmas. Mid-century modern rules the Vista Las Palmas area and many of the older original homes have been restored, remodeled and modernized and increased tremendously in value over the last years. Home prices in Old Las Palmas and Vista Las Palmas range from $750,000 to $10 Million+. This is one of those neighborhoods within the city of Palm Springs that is as rich with history as any, but may not be as well-known. In 1952 Deepwell was officially started as a subdivision. It is a neighborhood filled with rich history, but it is not as well known as some areas of Palm Springs. 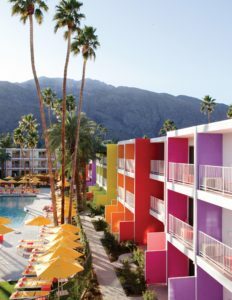 It has a colorful and long history as a very important part of Palm Springs. In 1926, Henry Pearson a scientist, bought the area that is known today as the Deepwell Ranch property. He dug his first well and discovered water as deep as 630 feet. This is the deepest well in the Coachella Valley. This is why the property became known as Deepwell Ranch. Today, a drive through the streets of this neighborhood is great fun, but better yet, rent some bikes and ride these quite streets and enjoy one the of oldest neighborhoods of Palm Springs. The price of homes in Deepwell and Deepwell Ranch range from $400,000 to $1,200,000+. 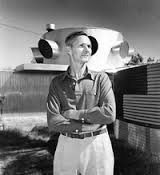 Albert Frey was a believer in modern architecture, a political and social liberation through affordable machine-made designs. His chosen materials were aluminum, glass, and cables. He eventually used boulders and sands of the desert where he lived. J.W. Robinson’s Palm Springs. Courtesy of the Palm Springs Historical Society. 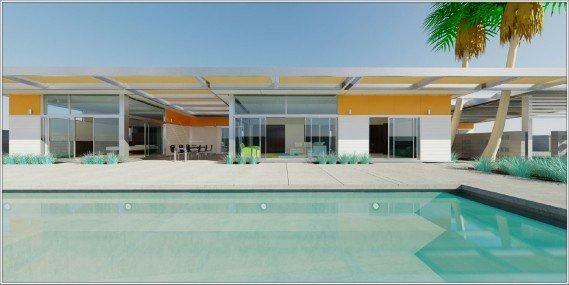 Last week, the Palm Springs City Council voted unanimously to designate the J.W. Robinson’s Department Store building a Class 1 Historic Site. 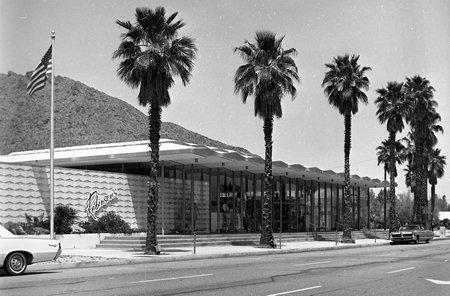 The free-standing building on South Palm Canyon Drive at West Baristo with its dramatic elevated entrance and graceful pavilion style, is an important component of historic trends that have come to define Palm Springs as an epicenter of mid-century architecture. 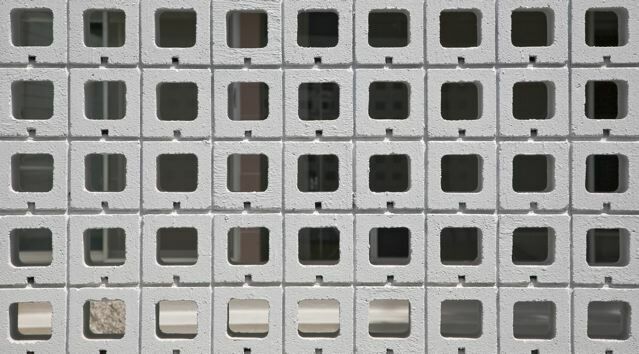 Almost every development of modern homes faces the eventual challenge of keeping its architectural integrity. But as Mid-Century Modernism wins more fans, residents are banning together to save their neighborhoods’ unique look and character. Since Modernism is a subtle style, it is easily compromised: Adding a carriage style outdoor light fixture in lieu of an original hour-glass one, or tearing down artistic block to erect an adobe wall can easily change a home or neighborhood’s look. 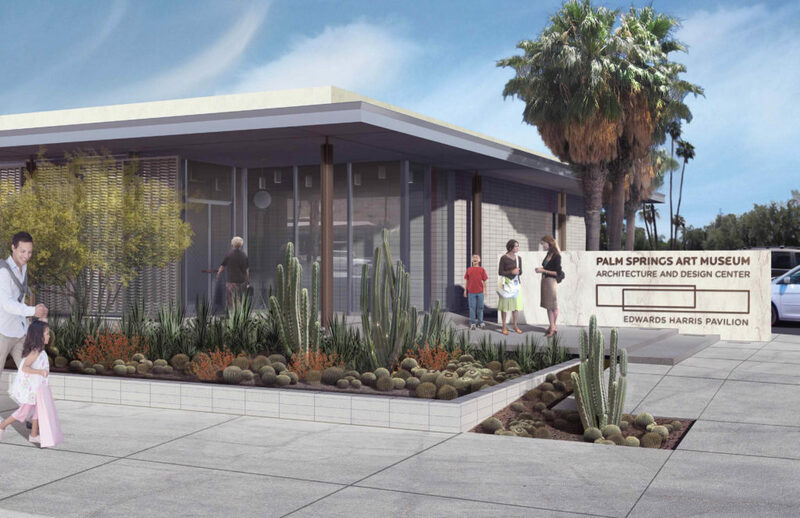 Rendering of exterior entry of Palm Springs Art Museum Architecture and Design Center, Edwards Harris Pavilion. Rendering courtesy of Marmol Radziner Architects, FAIA. Desert Modernism is more than a style, it’s a lifestyle that is best experienced at your leisure. In fact, Desert Modernism practically invented the idea of “leisure.” Living both indoors and out inspired the idea of casual living. Architect Donald Wexler’s Steel Development House No. 2 — located on North Sunny View Drive — is the first midcentury structure in Palm Springs to be listed on the National Register of Historic Places. Whether in a large metropolis, small city or country village, neighborhoods define a quality of life, a community, and offer a sense of belonging, of pride and place. 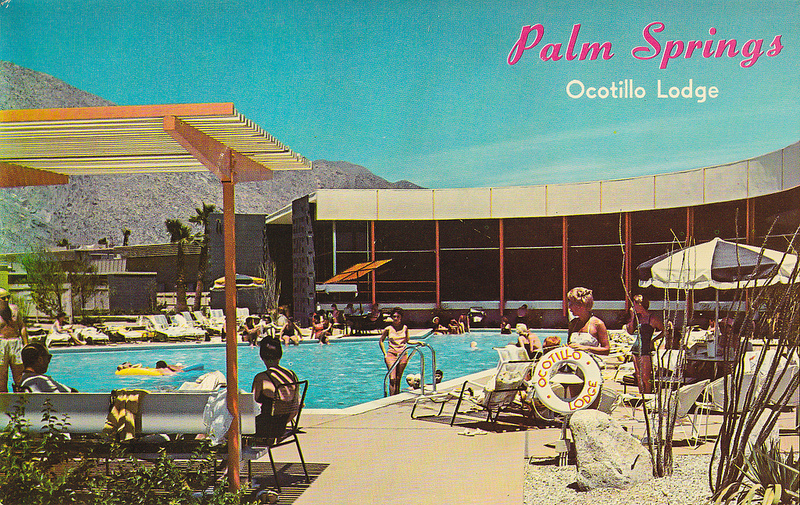 By some historic benchmarks, Palm Springs, incorporated in 1938, is relatively young. But its explosive growth in the Mid-Century — particularly innovative modern tract and custom homes — set in motion communities born from a sense of new frontiers, prosperity, and optimism that characterized the American spirit post World War II.